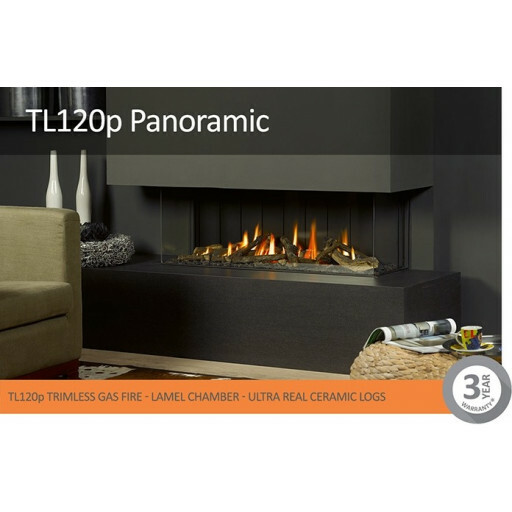 The TL120p is equipped with an innovative double burner system. This clever feature staggers the flame pattern in two rows and gives an extra sense of depth and realism whilst offering a more economical way to use your fire. At the touch of a button the front burner row remains active whilst the rear burner row diminishes, giving unparalleled visual effect with a reduction of 40% of the heat output. Used in combination with the Ecomax remote control can result in the benefit of reduced running costs of up to 60%.